Raoul Wallenberg, Swedish diplomat in Budapest in the closing stages of World War 2, whose efforts helped save the lives of thousands of Hungarian Jews from the Nazis and their Hungarian allies in Nyilas (the Arrow Cross). 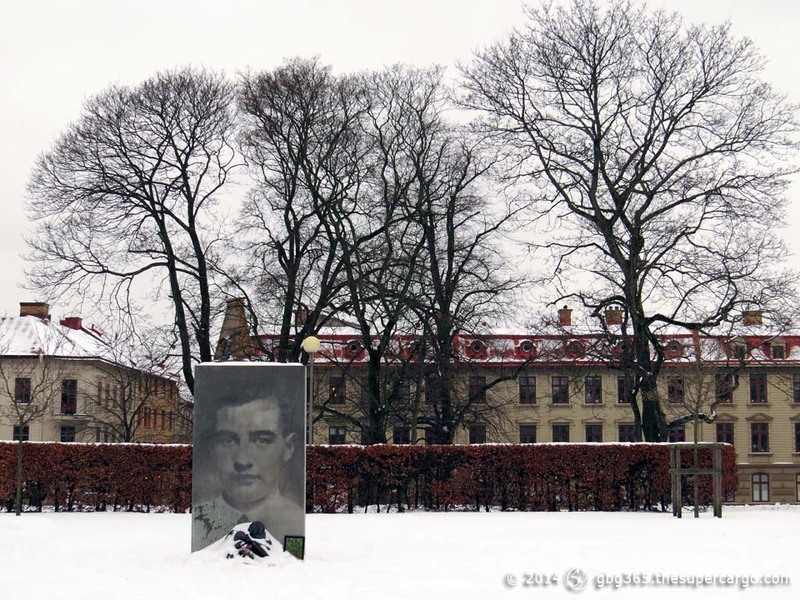 I’d intended to post a photo of the Wallenberg monument on Holocaust Day (27 January) but didn’t have a decent photograph then. This was taken yesterday.